Updated: 2:36 p.m. | Posted: 9:57 a.m. In response to a judge's order, St. Louis County officials made public nearly two dozen emails Tuesday that have been a point of contention in the 8th District congressional race. The emails between Pete Stauber and the National Republican Campaign Committee do not provide any political bombshells. Stauber, a county commissioner and 8th district GOP congressional candidate, used his county email address to communicate with the National Republican Congressional Committee in 2017. The Minnesota DFL filed a lawsuit to compel the county to release the material. District Judge Stoney Hiljus ruled the data public and ordered the release. Ken Martin, the state DFL party chair, said the emails show Stauber used taxpayer resources to advance his political career. "Months before he was even an official candidate, Pete Stauber was plotting and strategizing with party bosses in DC at the expense of his constituents at home," Martin said. At the time of the emails, Stauber was the likely Republican challenger to incumbent Rep. Rick Nolan, who later decided not to run for reelection. He is now running against DFL candidate Joe Radinovich and third party candidate Skip Sandman. On Aug. 3, 2017, Stauber sent an email to Mike Thom, regional political director for the NRCC, referencing an upcoming field hearing in Duluth of the House Veterans Affairs Committee. "Look at this. 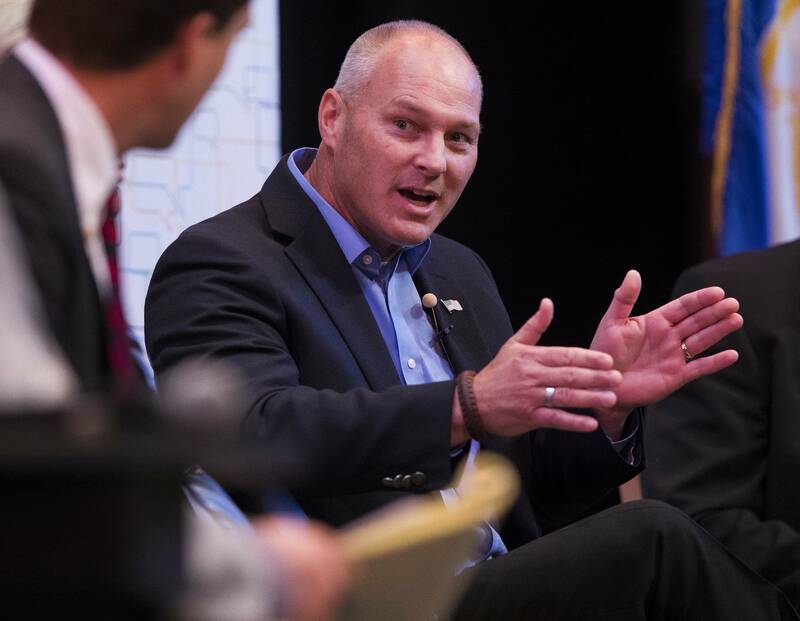 I need Nolan's anti-veteran votes to get people there," Stauber wrote. In another email from Dec. 19, 2017, the NRCC's regional press secretary wrote to Stauber about Nolan's support of internet neutrality. "The outrage over ending Net Neutrality has really faded away," wrote Maddie Anderson of the NRCC. "The Democrats realized that their arguments were easily disproven and didn't make sense to the average American who has yet to see any changes in how they access the internet. If he wants to make this a campaign issue, that might be a plus for us,". Other emails referred to the scheduling of television interviews with a Fox News reporter. At one point, Stauber urged the sender to contact him through his private email address. "Pete respects the court's decision and the process just as he did when the county looked into this matter and found no wrongdoing," said Stauber campaign spokeswoman Caroline Tarwid.